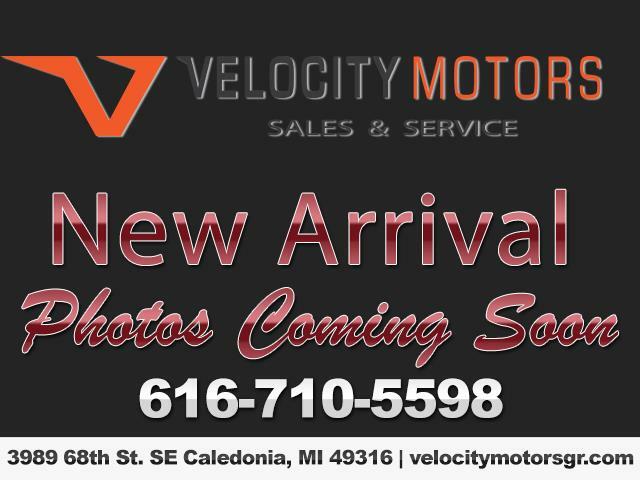 Velocity Motors was born from a lifetime passion for automobiles and customer service. Brent Kilmer, the owner of Velocity Motors has spent his life learning about and loving cars. At Velocity Motors you will deal directly with the owner and there is never a "back and forth" with a third party. Our vehicles come with our "Peace of mind warranty".....A COMPREHENSIVE 6 MONTH, 6,000 MILE WARRANTY THAT COVERS THE POWERTRAIN, AIR CONDITIONING, ELECTRICAL, BRAKING, STEERING, SUSPENSION AND FUEL SYSTEMS!!! YOU WILL ALSO RECEIVE UP TO 6 MONTHS ROADSIDE ASSISTANCE AND TIRE REPLACEMENT COVERAGE UP TO $150. We are committed to providing the best customer experience in West Michigan. Message: Thought you might be interested in this 2004 Toyota 4Runner.